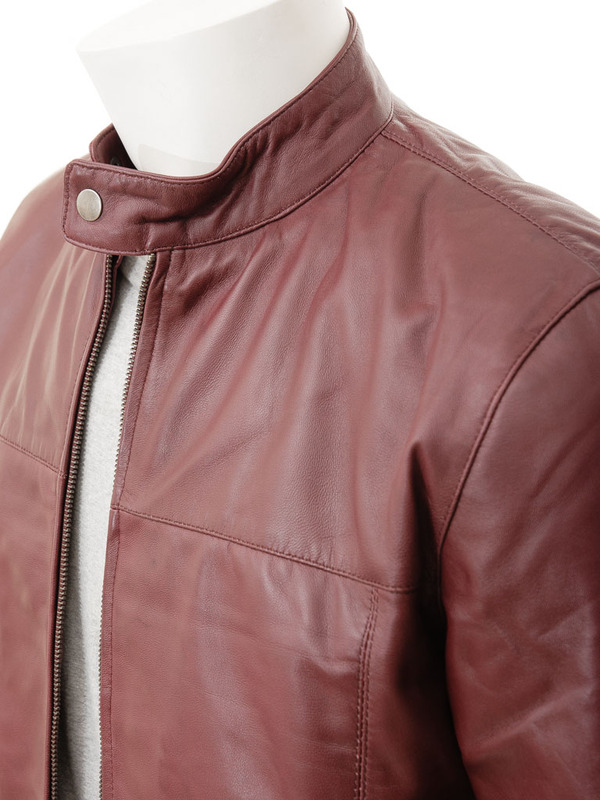 A clean, sharp, minimalist burgundy leather biker jacket. 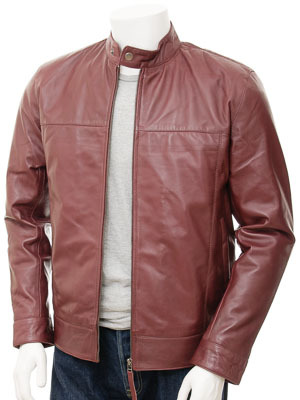 The key to this style is the quality of leather used. 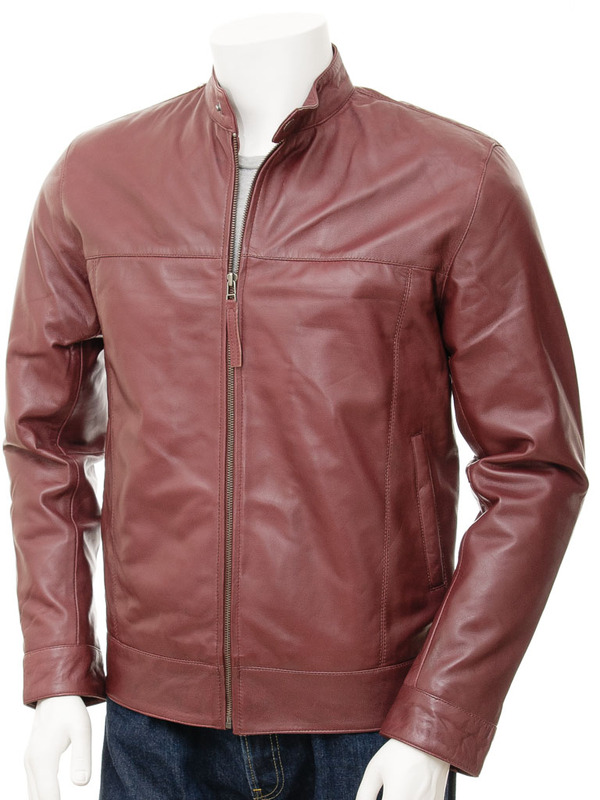 Soft, semi-matte sheep nappa hide in burgundy gives a subtle sheen to the biker and is butter soft. 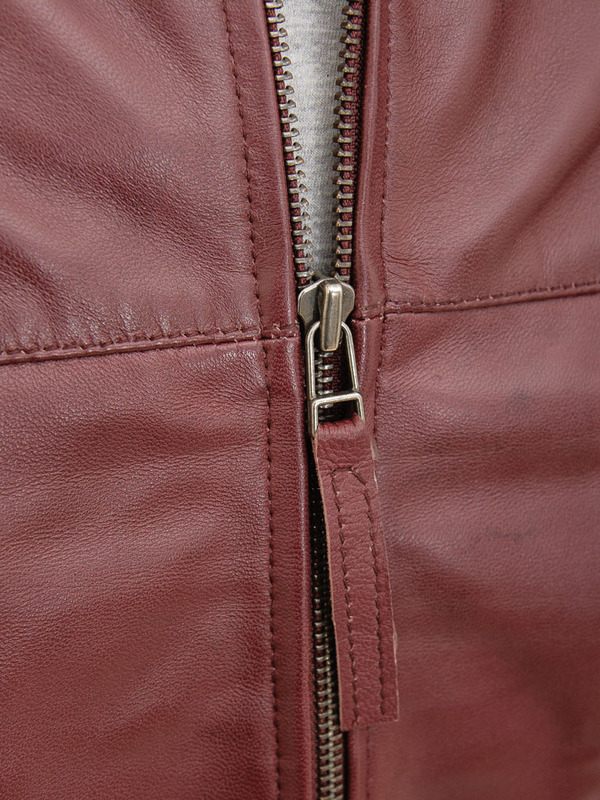 With this finish there is no need to go overboard with styling details, simply a YKK zip front up to a plain tab collar and two inset pockets at the waist. 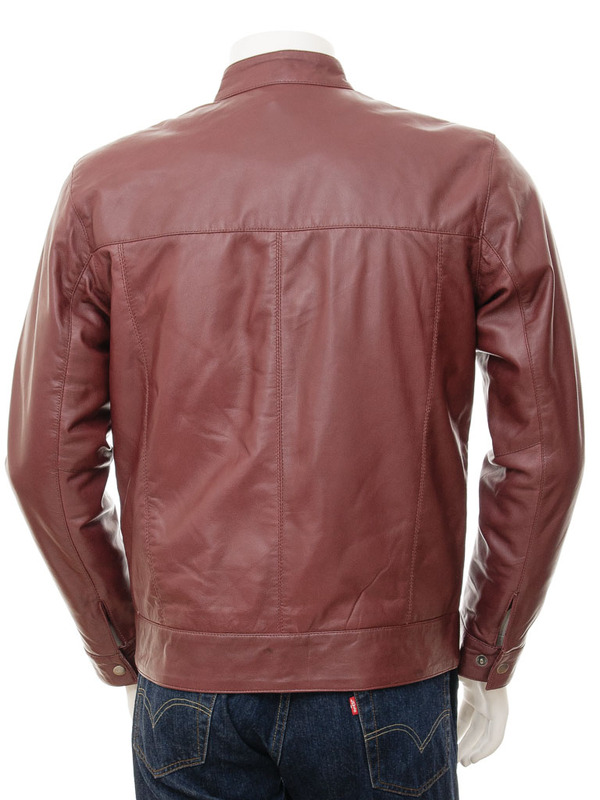 The cuffs are adjustable press stud gauntlets whilst the back is plain with a generous waistband.